Luiz Simas, born in Rio de Janeiro, Brazil and living in New York since 1989, combines his talents as composer, singer and pianist. His style of composition and performance is influenced by classical, jazz and bossa nova along with Brazilian, popular, traditional and modern music. Mr. Simas gave a sold-out performance at the Weill Recital Hall of Carnegie Hall in March 2003. In August of the same year he performed at the Oslo Jazz Festival in Norway playing chorinhos, meaning “little cries” in Portuguese ­ a mixture of European, Romantic and salon music with lively rhythms of African origin. At the Graduate Center of the University of New York, Mr. Simas gives seasonal courses on Brazilian Music. His program for the Steinway Society will include Brazilian music from the early 1900’s to the present time written by Nazareth, Abreu, Bittencourt, Pernambuco, Jobim and Simas. A native of Korea, Ms. Kim has performed extensively as a recitalist, chamber musician and soloist with orchestras throughout Europe, Asia and the United States. After a sold-out performance in Seoul, Korea, the publication Musica di Pianoforte reported: “Her almost magical technical ability was matched by her sensitive and artistic interpretation of each composition… From the first note to the last, we felt completely engrossed and engulfed by the enchanting music she created at the piano.” Following her First Prize and Best Interpretation of French Music Award in the 1999 French International Festival, Ms. Kim won an International Special Presentation Award, which included a recital at Carnegie Hall in New York. The New York Concert Review said: “Ms. Kim has absorbed and assimilated the character of French keyboard music and she exhibits her abilities with taste and flair.” Ms. Kim holds a master’s degree in piano performance with honors from Michigan State University where she also studied in the Doctoral program with Daiuk Lee and Ralph Votapek. She is currently on the faculty of Westminster Conservatory of Rider University in Princeton, New Jersey. Ms. Kim’s artistic ability will be heard throughout a uniquely special French program. Pianist/composer Laurie Altman has performed over the years at many of the jazz world’s most exciting venues, including the Blue Note, Seventh Avenue South, Soundscape and the Ummo Jazz Club in Helsinki, as well as the Autumn Rhythms Jazz Festival in St. Petersburg, Russia. His works as a classical composer have been performed throughout the world, including Mexico, Havana, Russia, France and South America. 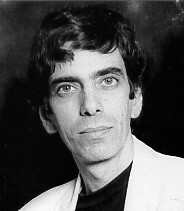 As a recipient of two National Endowment Fellowships, the Mason Gross Composition Prize and a Lincoln Center Composers’ Forum Fellowship, his recent performances of his music have taken place in San Francisco, Chicago (by members of the Orpheus Chamber Orchestra), Washington D.C., New York City and the XXIX Festival International Cervantino in Guanajuato, Mexico. His program will include original works in both a classical and jazz framework with at least one world premiere. Ms. Vetrinskaya, a native of Russia, has been teaching and performing in the US since 1995 and is a faculty member of the University of New Mexico. Following her master’s degrees in piano performance from the National Conservatory of Turkmenistan and from the University of New Mexico she completed a doctoral study in piano ensemble performance at the Moscow Gnesin Academy of Music. She has received national acclaim for her performance, study and editing of music of American composer John Donald Robb and is the featured performer of two recordings of his piano work: Pictures of New Mexico and Piano Concerto with the Polish National Radio Symphony Orchestra. Tatiana Vetrinskaya’s recent highlights include a performance of Haydn’s Piano Concerto with the Chamber Orchestra of Albuquerque and recital with French violinist, Veronique Marcel in Santa Fe, New Mexico. Tatiana’s program will include compositions by John Donald Robb, Claude Debussy and Enrique Granados. The program will include music by Beethoven and Mendelssohn: cello/piano duo, violin/piano duo, and trio. 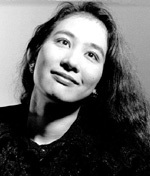 Ms. Kanamaru, since the age of nine, has performed as soloist with orchestras in Toyko, US, Europe, Canada and Japan. CDs and radio recordings have enhanced her seasonal subscription concerts as soloist with the Savannah Symphony and the National Repertory Orchestras. The Corpus Christi International Competition chose Ms. Kanamaru twice for their “Best Accompanist Award”. She holds a bachelor’s and a master’s degree from Musashino Academia Musicae in Tokyo and an Advanced Certificate in Piano Performance from the Juilliard School, where she studied with Yoheved Kaplinsky. Currently, she is Assistant Professor/Coordinator of Keyboard Studies at the College of New Jersey. She has co-edited more than 30 volumes of educational piano music published by the Yamaha Music Foundation. Ruotao Mao, a native of Beijing, China, graduated from the New England Conservatory of Music with the “Distinction in Performance” award. He earned his Master Degree in Music from the Mason Gross School of the Arts where he studied under violinist Arnold Sternhardt of the Guarneri String Quartet. He also studied with Dorothy Delay, Paul Kantor and Masuko Ushioda. He is one of the founding members of the Beijing Piano Quartet and the Amabile String Quartet. He has appeared as soloist and concertmaster with many orchestras in New Jersey and Pennsylvania. 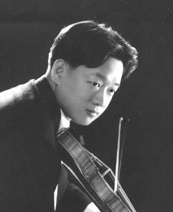 Presently, Mr. Mao serves as violin and viola instructor at The College of New Jersey. Mikyung Lee, a native of Seoul, Korea, began cello studies at age nine and won national competitions in Korea. She entered the Juilliard School in 1981 and studied with Channing Robbins and Aldo Parisot. She won the concerto competition at Juilliard and played at Alice Tully Hall. She received the bachelor’s and master’s degrees while completing the Professional Studies program. In 2002, Dr. Lee received her Doctor of Musical Arts degree from Rutgers. Her New York debut at Weill Recital Hall at Carnegie Hall brought her high praise in the “Strings” magazine. As soloist, she has appeared with the Korean Symphony, Seoul Symphony, the Korean Chamber Orchestra of New York and Seoul Academy Symphony Orchestra. Currently, Dr. Lee is a member of the Amabile String Quartet. Paul Zeigler’s multifaceted career as a pianist, composer and teacher has taken him on performances throughout the United States, Canada and Europe. Critics have been unanimous in their praise: “absolutely thrilling, technically perfect, emotionally exciting, mind expanding…a virtuoso performer”. In April 2002, Mr. Zeigler won the Kathryn G. Obenshain award for second place at The 22nd Bartok-Kabalevsky-Prokofiev International Piano Competition and Festival, Radford University, VA. As composer-performer, Mr. Zeigler’s works have been featured on radio, television and in major concert Halls. His March 2004 concert of all original works in New York City was reviewed by John Hammel for WNTI Radio and described as “remarkable American compositions. It is refreshing to encounter music that is so utterly accessible and imbued with a compelling joie de vivre at its core. All of Mr. Zeigler’s compositions offered a full emotional and coloristic palette. Zeigler¹s piano playing was masterful”. Recently released CDs are entitled Beethoven: Three Sonatas, Pathétique, Moonlight and Appassionata and To Music and Other Original Works by Paul Zeigler with Patricia Ruggles, mezzo, Janet Vidovich, clarinet, and Mitchell Vines, piano. Mr. Zeigler is also a teacher of award-winning students in his private studio in Madison, New Jersey.